We’ve all heard the phrase The customer is always right, but if you’re not working on the front lines of customer support or user research, are you actually listening to what your customers have to say? At many companies, it can be hard to keep tabs on general customer sentiment, and it’s vital that teams at every level of a company know what ultimately makes customers happy (so they can keep doing that) or frustrated (so they can improve). Let’s look at a few ways any business can track, discuss, and respond to customer feedback—and get the most important bits in front of the right people—all in Slack. With Slack’s Twitter app, it’s easy to allocate a channel to all mentions of your company on social media. Connect the app to your company’s Twitter account and point it at a newly created channel, and you’ll get a steady stream of tweets that all mention your company, automatically sent into Slack the moment they’re posted. From there, teammates can discuss customer feedback in Slack threads and collaborate on how best to respond on Twitter using your company account. You can use the reacji channeler to auto-repost any highly critical tweets to a dedicated #beeftweets channel, where people in the company can discuss ways to fix any problems a customer is experiencing. This is also especially helpful for product education teams, who can use tweets to pinpoint areas of customer confusion and use that to guide future tutorials. Once you have all of your tweets inside a Slack channel, you’ll be surprised at how often they’re posted elsewhere in Slack, either to highlight positive reviews or illustrate problems to be solved by others. One of the most overlooked features in Slack for all paid teams is the ability to designate an email address for a channel, where every incoming email appears as a new message. 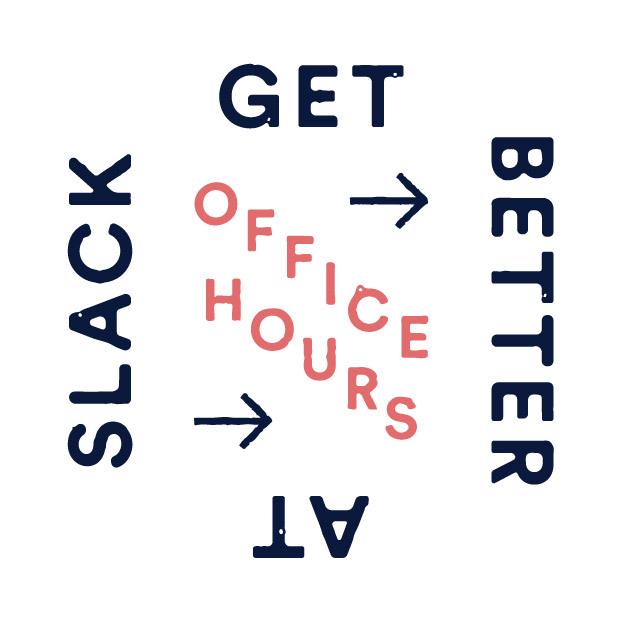 For small companies that get a handful of emails sent through their website’s contact form, piping those into Slack saves everyone a trip to their web browser to check for messages. It also means you can have large groups of people monitoring the company contact form. Teams can discuss and plan their replies, use the 👀 emoji reaction to show you’re looking and responding, and mark responses that were sent with a ✔ reaction to let everyone know it was taken care of. If you’ve ever gotten asked on a company’s website how likely you are to recommend a product to others, you took an NPS test. It’s one of the most popular ways for businesses to keep a pulse on the happiness of their customers, and there are a handful of apps for Slack to help you send NPS responses into a channel for your team to review. Send NPS scores to a general channel once a week for everyone to see the moving average. Post every new report into an #nps-responses channel, and you can do things like ask your sales team to review any low scores (say, 1 to 3 out of 10) that come from paying customers. Reach out to all of these dissatisfied customers—they are prime opportunities to connect, educate, and figure out what they dislike about your products before they decide to cancel. For teams developing applications or games for desktop and mobile systems, keeping track of how your products are reviewed on every system can be a bit of a chore. There is the Apple App Store, the Google Play Store, the Microsoft Windows Store, and Amazon, among others. Slack apps like ReviewBot, Appbot, and AppFollow check your review accounts on a variety of systems and sends all those into a Slack channel for easy viewing. As with the other suggestions in this guide, use the incoming reviews to highlight both positive opinions and problems, and keep an eye on a variety of systems without leaving Slack. One of the best pick-me-ups at Slack is walking through the company offices and seeing big flat-screen TVs playing back a steady stream of tweets that make up our Wall of Love. After several years, we’ve collected more than 10,000 of them. We’ve heard from teams that do this same kind of thing in a more informal way, by creating a channel called #nice-words-people-say. It’s a place for anyone in the company to drop supportive feedback from customers who really appreciate its products, from great NPS responses to customer comments a salesperson hears during an onsite visit. For teams deep in the trenches working on products or out in the field selling them, it’s rewarding to take the occasional tour of #nice-words-people-say and be reminded that people love your company and your products—and why you’re proud to work on the things you do. Following customer feedback from all the different inputs can be a challenge, and there are a handful of apps that can help you aggregate and send it all into Slack. From there, your team can read, respond, and keep tabs on customer happiness, all while staying aware of how customers feel about your company’s products—even when you’re not on the front lines of support.